What are you reading, ontd? 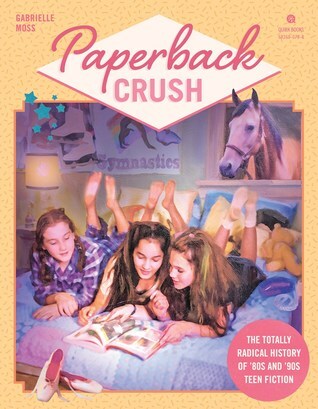 my request for an arc of paperback crush got accepted! i usually don't follow upcoming releases but i've been SO excited for this one. books on books on books! Omg, congrats. Been trying to win myself a copy on goodreads. Hope it's a good read! I guess I'm reading the burnt offering rn, I'm only three chapters in but it's cool so far. The descriptions does a good job of making you feel claustrophobic in your imaginary tiny apartment with your nosy neighbors that all live on top of each other. Pandemonium was wild that reveal was a 'suddenly the koon was I' moment if I've seen one. The most interesting part was the demons, I'd be happy if the entire book was made up of demonology chapters tbh. i just finished Pandemonium as well, I liked but not sure i totally got it? i want to read some reviews about it tbh. but LOL @ ur "suddenly the koon was I" moment, that is so apt lmao. I really liked those demonology chapters! Starting Atwood's The Blind Assassin next! Ohh I've had this on my bookshelf for a couple months, been meaning to check it out. Ugh, I can't wait to read it, I'm still like number 300 at the library. I liked it more than Uprooted, which seems to be an unpopular opinion. I loved Uprooted, but I feel like the women in Spinning Silver end up with more growth. The Insecure recommendation confused me as well! Maybe they're talking about another tv show? I'm reading Uprooted, which is good but not great. I accidentally read a spoiler that the love interest is apparently not at all who I think it should be, and that's a real bummer. I just finished I'd Know You Anywhere by Laura Lippman and I hated it. The lead was annoying and the side characters even more. I read Sunburn by Laura Lippman recently. She writes well but I also thought the characters were poorly sketched. I doubt I'll be reading more. "If you love Insecure, read Good Luck With That by Kristan Higgins. Emerson, Georgia and Marley all met at a weight loss camp while in their teens but with Emerson’s recent passing, they’ll be reminded of their deep bond. Finding a list of things they hoped they’d accomplish in life, the two will learn Emerson’s last wish was that they complete the items on the list." Are there multiple TV shows called Insecure? Because I'm wondering why in the world this would appeal me if I like interesting stories foregrounding black women. I just finished One In A Million by Lindsey Kelk and it was one of the best/funniest romances I've read in sooooo long. 10/10 recommend! am still reading Fried Green Tomatoes at the Whistle Stop Cafe - don't understand why the people in 1920s Alabama are racist but magically not homophobic. Also really hate the use of the n word in books, so am not enjoying this one. Just finished Never Let Me Go by Kazuo Ishiguro. So haunting, really liked it. I cried uncontrollably at the end. Kazuo Ishiguro really is the master of the slow burn gut punch. He really is. I felt the same about Remains of the Day. You don't know how much you love his books until the end.